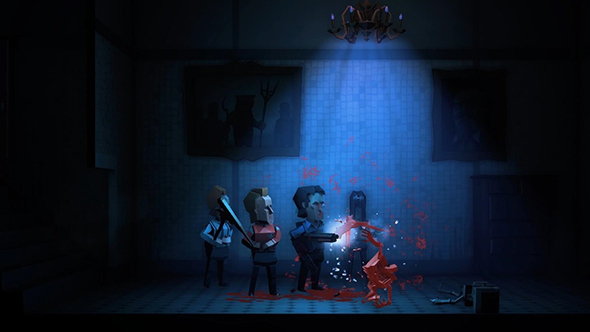 Cult classic horror plus an adorably gruesome papercraft adventure? That’s exactly what we’ll be getting with Evil Dead x Phantom Halls, which appropriately enough brings together the horror comedy of Evil Dead 2 and the squad-based action of Phantom Halls. The gore isn’t quite so cute in most of the best zombie games on PC. Ash Williams joins the roster as a playable character, and selecting him gives you a range of new Evil Dead-inspired quests. New enemies and traps like deadites, tree spirits, and a necronomicon will cause new bouts of mayhem, and locations like the infamous cabin itself will be joining the selection of procedurally generated areas. Phantom Halls hit Steam Early Access this year, offering a unique blend of horror and cute papercraft visuals. It has you controlling multiple characters at once, with each character’s actions assigned to their own button. This update will also be adding new gameplay mechanics like mini-boss fights, including a big battle against ol’ Evil Ash. If all that tickles your fancy, Phantom Halls will be 50% off on Steam for the rest of the week. And, if you’re in Birmingham this weekend, the developers will be showing off the game at EGX.